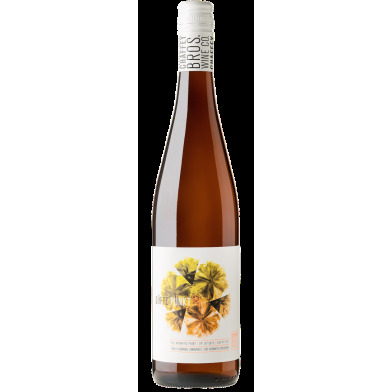 This straw-coloured rascal is a three way blend of Riesling, Gewurztraminer and the rare Weisser Herold (aka Kerner), all out of the one old vineyard. It's co-fermented, at first playing it's Riesling card with lime florals and aromatics, though the more exotic gewurztraminer comes out of it's shell as you go They do, perhaps, add to this wine's fabulous texture: chalky, pithy and peppery/spicy with a lingering, mouth watering result. One Vineyard. Three Germanic Luminaries. One Aromatic Explosion. Düfte Punkt is an aromatic paradigm-shift. A seamless single-vineyard blend of spicy Gewürztraminer, precise Riesling and textural Kerner (Weißer Herold). Striking lychee and turkish delight aromas introduce a complex palate showing lychees, mandarins, minerality and a lingering powder-puff of florals. Distributed in Australia by Samuel Smith & Son. Distributed in the UK by Enotria & Coe UK. Distributed in Singapore by Monopole. Winemaking notes: The Fechner brothers' applauded vineyard in the Eden Valley is unique for both its spectacular aromatics and its unique varietal mix. This field blend is a cofermentation consisting of 34% Riesling, 33% Gewürztraminer and 32% Kerner (aka Weißer Herold) (from one of only two Australian plantings of this Riesling-Trollinger crossbreed).